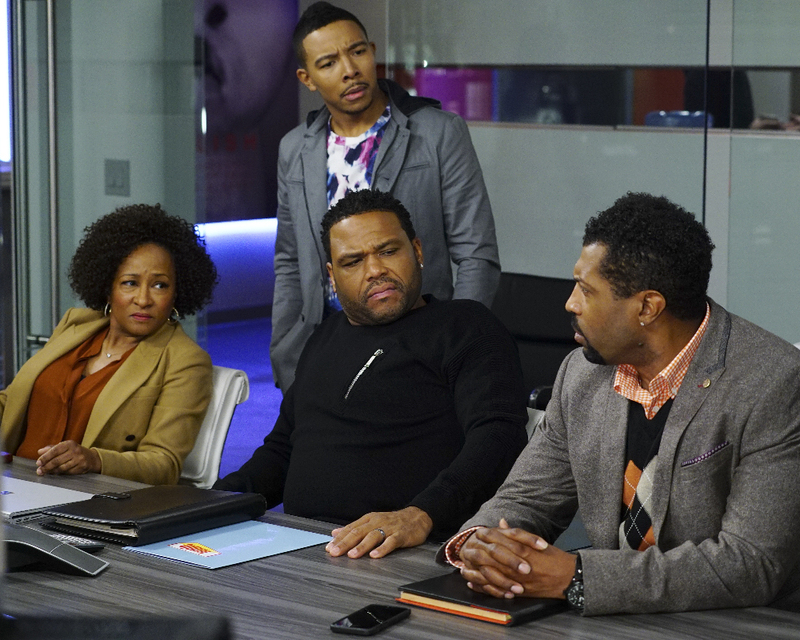 *Tonight, the characters on ABC’s “Black-ish” will deal with the fact that Donald Trump has been elected president. 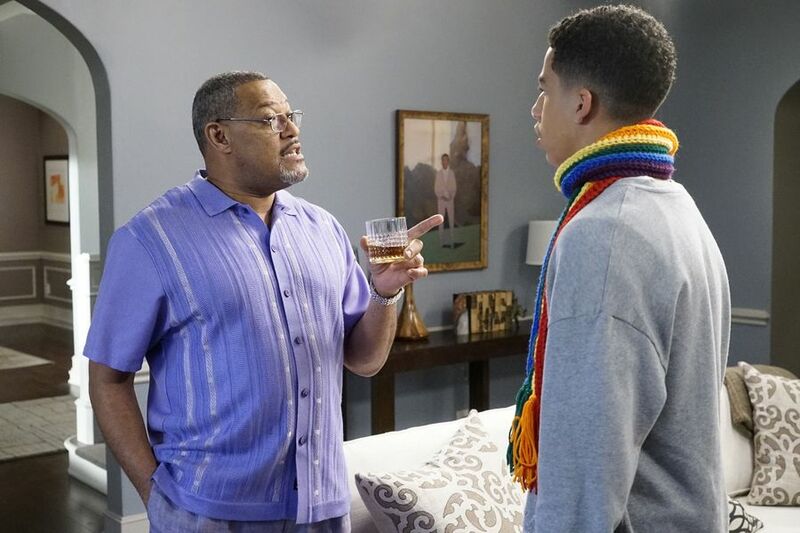 Dre (Anthony Anderson) and his colleagues and family react with stunned pain and confusion in an episode written and directed by the show’s creator, Kenya Barris. Tensions are particularly high at Dre’s work. Much to his frustration, they haven’t been able to get anything done since election night – eight weeks ago. Meanwhile, Junior is dealing with a disenfranchised student body as class president, and when he is asked to deliver Martin Luther King Jr.’s “I Have a Dream” speech at school, Pops (Laurence Fishburne) teaches him there is more to the speech than Junior thought. “I thought it spoke to a majority of the people that I knew, in terms of their shock and utter disbelief that Donald Trump is our president-elect, based on everything leading up to the election — the things that he said, the things that he tweeted,” Anderson said of the script in an interview with Variety. Barris locked himself away over the Thanksgiving weekend to pen the script. For the first time, he’s both writing and directing an installment of the comedy — that’s how important this episode is to him. As is typical on “Black-ish,” the half-hour explores all points of view: Members of the Johnson family and employees at Dre’s workplace air strong and distinct perspectives — and they also hear from a Trump voter. Johnson family members share their opinions about the election — and Bow (Tracee Ellis Ross) tries to make a difference by giving money to environmentally and socially aware charities, so much so that her wardrobe consists of giveaway swag. But much of the episode takes place at Dre’s workplace, the advertising agency Lido and Stevens, as employees try to process the results of the vote. “That office is a microcosm of the world in which we live,” Anderson says. 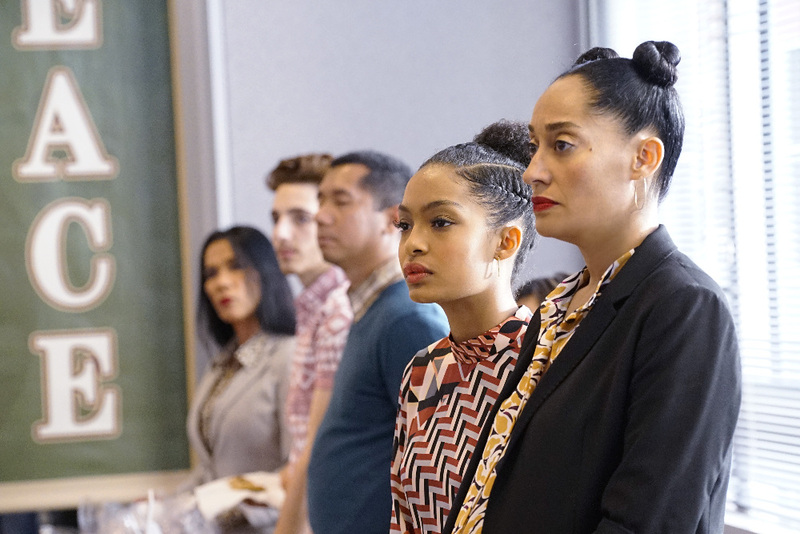 The cascading and colliding reactions at the ad firm reflect what happened in the “Black-ish” writers’ room after Nov. 8, recalls Barris.